Like any good manly man, though, the Esquire Network is a little wary of change. So, in order to stop itself from growing too much, it has also picked up four additional unscripted shows. One is Winner’s Circle, a show about celebrity friends doing the cool stuff that celebrity friends get to do, which means it’ll probably be like a horrifyingly real version of Entourage. 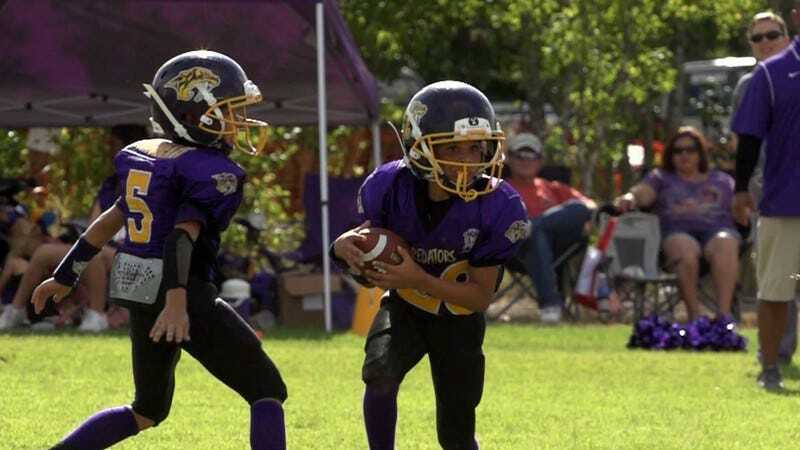 There’s also Friday Night Tykes: Western, PA, which is a spinoff of Friday Night Tykes that is set in the home county of Mike Ditka and Joe Namath. Will they be on the show? Probably not. Next is Team Ninja Warrior, a spinoff of American Ninja Warrior where the contestants try to complete parkour challenges and stealth assassinations in teams. The fourth unscripted show is Educating America, a documentary series about “what really happens inside American schools.” We’re gonna guess it involves a lot of talk about Minecraft.